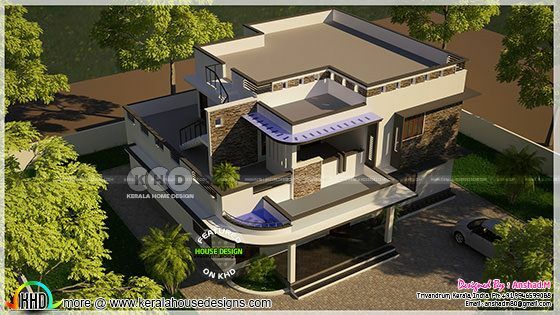 Introducing a new designer to KHD viewers, Anshad.M from Trivandrum, Kerala. 2600 Square Feet (242 Square Meter) (289 Square Yards) 4 bedroom home design. 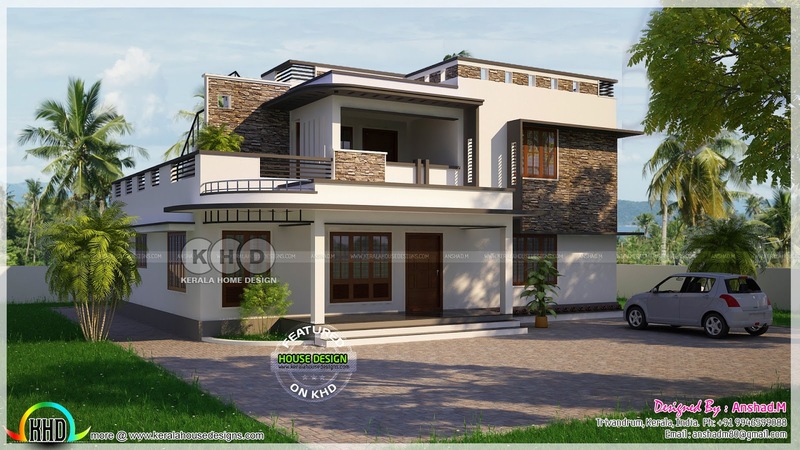 Ground floor Area : 1561.06 sq.ft. First floor Area : 1038.66 sq.ft. 0 comments on "Contemporary home by Anshad.M"